Who doesn’t want to change the world? Who wouldn’t want the world to be a better place for everyone? Tall order right? How can we convince political rivals not to resort to bloodshed to solve their differences? How can we convince those whose hearts are filled with hate to replace it with love? In short, we can’t. Not very inspiring I know. It is the truth. We cannot change the minds and hearts of others. That is up to them. This blog is focused on things we CAN do though. So what can we do? How do we reach those souls who need it most? How can we change the world? It is actually easier than you think. The only way we can truly touch and reach each other is through love and compassion. The woman who is credited with the quote above, Mother Teresa, changed the world on a grand scale using both love and compassion. The good news is you do not have to surrender your life and help those people in a third world country like she did. All we have to do is show love to those around us. This is not always easy, but it will pay rewards far beyond what we can imagine. Being a shining example of love and compassion to our family will provide them with a framework to do the same. My good friend Bart recently had his first child. Both he and his wife and very caring and compassionate people who genuinely care about the world around them. It does my soul good to know such parents are raising a member of the future generation who will bring the same to the world. So what about those who do not have the luxury of having such parents? That is why it is important to be the best example we can for everyone we encounter. 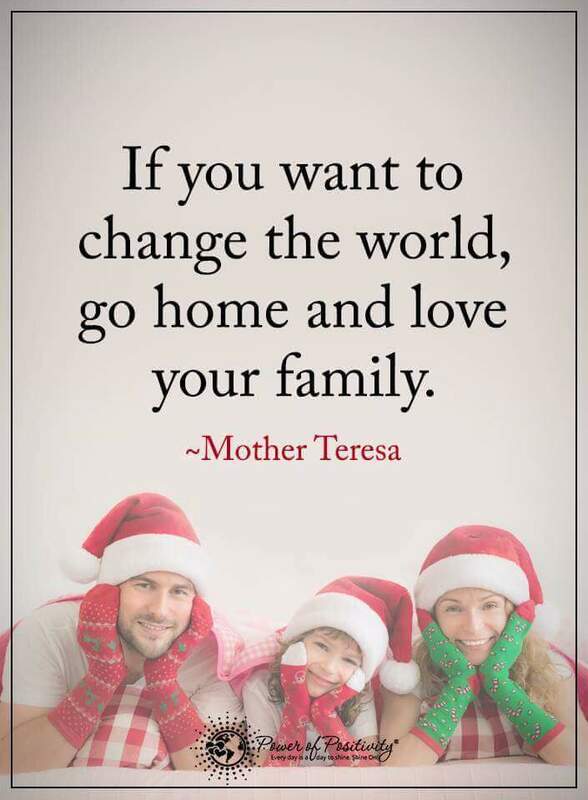 Let us do our best to remember in the coming year that a lot of people do not have the benefit of a loving and compassionate example to draw from. Perhaps they have not learned how to deal with anger, or how to understand those who are different from them. They might have even been raised and taught to be full of hate and judgment. In the face of such people we need to serve them and the world around us by being that example. That is not an easy task, especially when that anger or judgment is directed at us. By fighting our temptation to reflect the same emotions back, and by ‘killing’ their judgment and anger with our love, compassion and understanding we are indeed changing the world.